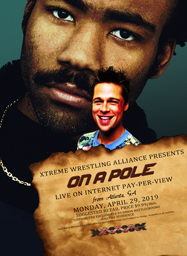 Olympic Gold Medallist Jake Rogers comes to the XWA and a Triple Threat main event closes out Massacre's month in the United Kingdom. XWA Massacre: Jeannie Rose vs Serena Maxwell- OPENING MATCH! [VOTE] XWA Massacre: Jake Rogers vs Danny Hall- ONE ON ONE! XWA Massacre MAIN EVENT: Drake Dysfunction vs Jester vs Lynx- TV TITLE No.1 CONTENDER MATCH!